Equipped with a narrower waist, the Nordica Enforcer 93 loves to be on edge. No wonder it's a favorite among skiers who spend most of their time on trails. A full wood core sandwiched between two sheets of metal offers exceptional stability and response and dampens vibrations for an especially smooth ride. It also provides exceptional edge hold to inspire confidence and lay down powerful and precise turns. 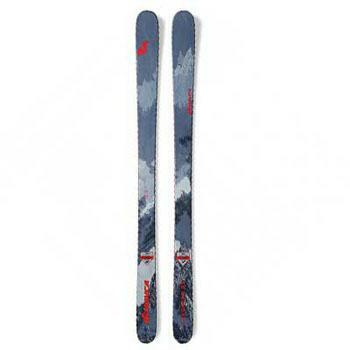 And to readily absorb bumps and offer flotation in soft snow, it sports early rise tip and tail rocker. Elevate your skiing - and your expectations - with the Enforcer 93.